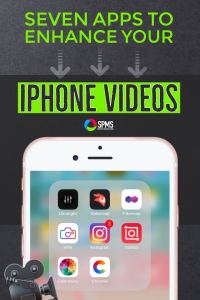 Would you like your iPhone videos to pop on social media? Are you searching for some apps to enhance videos in your camera roll? 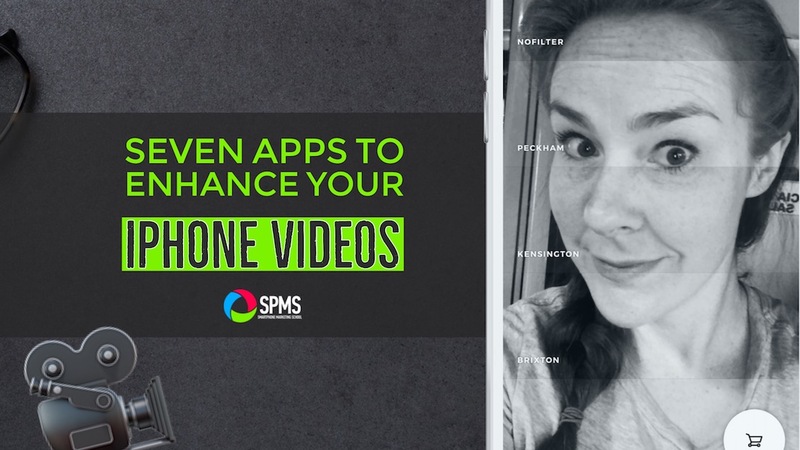 Here are seven video-enhancing apps and a key feature each one has for making your smartphone videos stand out. 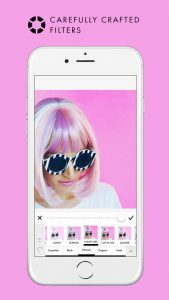 The A Color Story app started out as a photo-editing app but has also branched out to editing videos. It has a ton of filters to choose from but you can also edit your video with individual enhancing tools. It’s one of the easiest apps to enhance videos with your iPhone. You can crop your video as well. The only downside is that as I’m writing this post, you can only edit up to one minute of video. Definitely consider using this app if you’d like to brighten and whiten product videos. The Chromic app also provides a wide range of filters and editing tools ($4.99 in-app purchase for most filters). If you’re looking to add a more dramatic, cinematic type feel, the filters provided are a great solution. 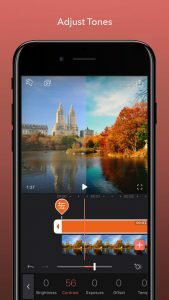 You also have individual editing tools, so if you just want to enhance the visual quality of your iPhone video, you can do that as well. First tap on the video you want to edit. You’ll need to tap twice for some odd reason. Tap an editing tool. Swipe up and down with your finger to adjust the intensity of the tool (works the same for filter intensity as well). To scrub through the video to see different parts, swipe left and right. Choose from a bunch of editing tools to create a professional and polished video. 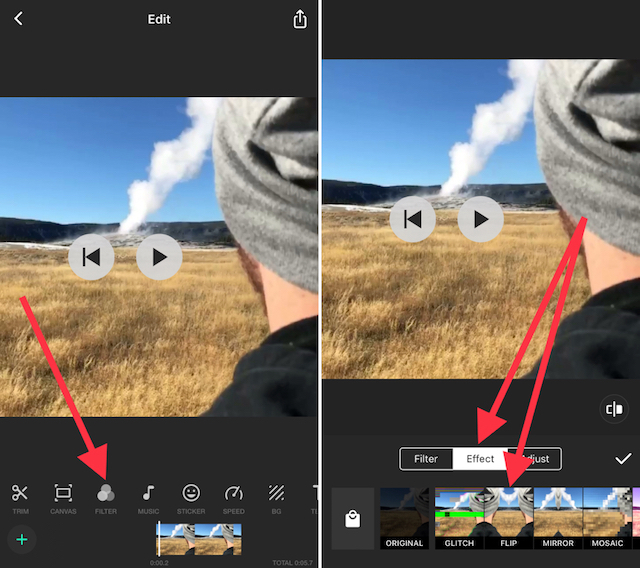 Videoleap is the brother app of the photo-editing app Enlight. This is a full video-editing app with a ton of awesome tools (some are paid but a lot are not). Included in that is a small selection of filters. You can also edit with individual tools. 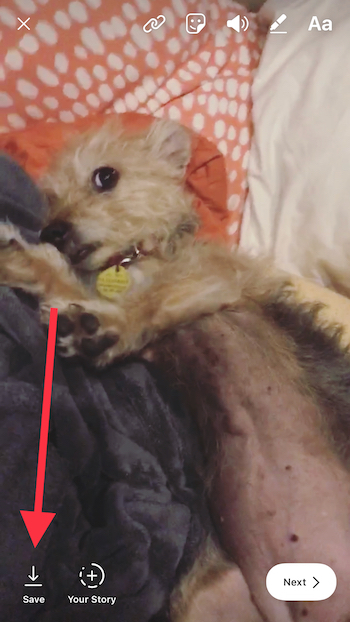 One feature I’ve found super helpful is the ability to pixelate or censor specific areas of your video. You can also move the pixelation to follow the censored area throughout the video. This is great when you want to post a video but find there is sensitive information or faces that need to be pixelated. The interface of the Ultralight app can be a little confusing at first, but it’s super sleek and so are the filter and editing options. I especially like the Selfie filter in the Essentials pack. Once you tap the video you want to edit, it actually doesn’t import into another screen. You just start tapping any of the options at the bottom of the screen to edit. 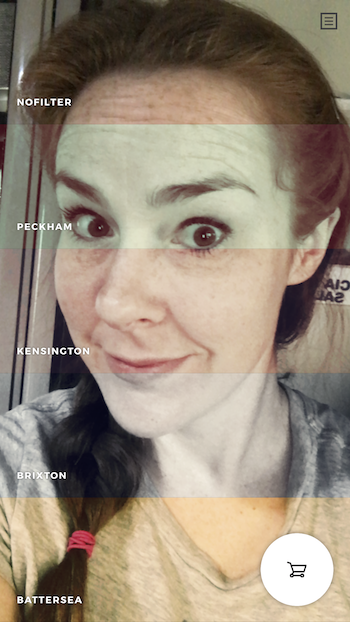 To find the Selfie filter, tap > Filter > Essentials > and swipe through to find the one entitled Selfie. Use the slider to adjust as needed. Tap on Edit to find some super sleek editing tools. 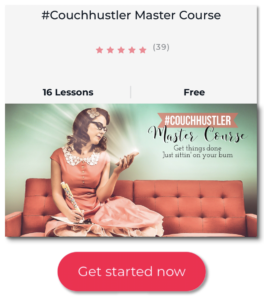 If you’ve read some of my other posts here at the Smartphone Marketing School blog, you know how much I love the InShot app. Not only does it have some great filters (some are in-app purchases), but it also has the ability to flip, mirror, pixelate, and basically distort your videos however you want for a cool (maybe weird) effect. 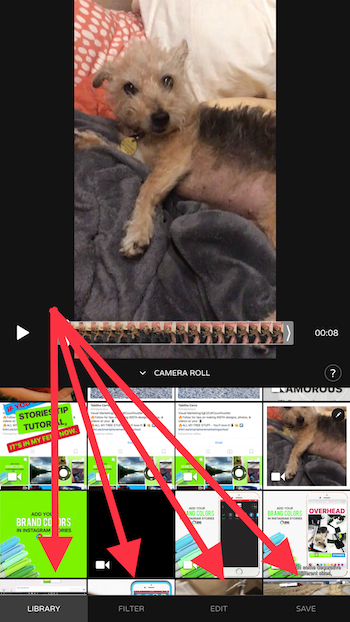 After importing your video, it will open up in square with margins. 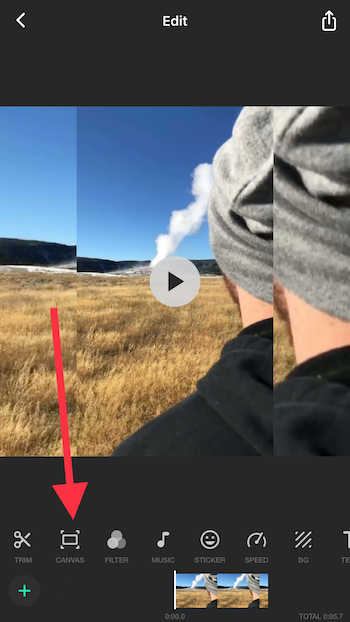 If you wish to change the sizing first, tap Canvas and then slide the slider as needed to expand or decrease your video. You can also choose from aspect ratio sizing at the bottom of the screen. To add the Mirror filter, tap > Filter > Effect > Mirror. You can also have a lot of fun with the other effects as well. 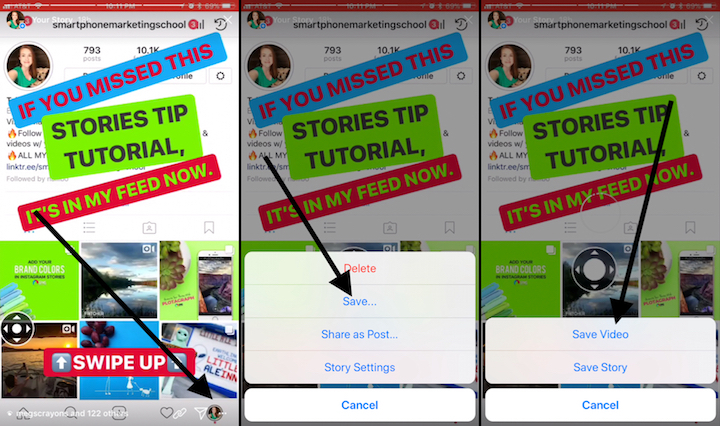 If you’re an Instagram user, you can totally take advantage of the filter options provided when you upload a video or while in instagram Stories. 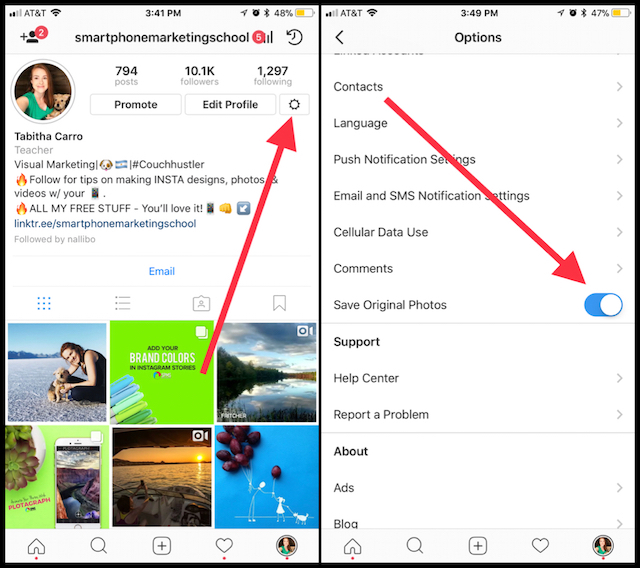 You can edit your Settings where the video will be saved to your camera roll to repurpose at other social media platforms. Keep in mind that there will definitely be a quality reduction when using Instagram to filter your videos. Once you select your video, you’ll have the option to play around with their filters. Although this is something you are probably familiar with, you may not know that if you tap a filter twice, you can adjust the intensity of the filter. 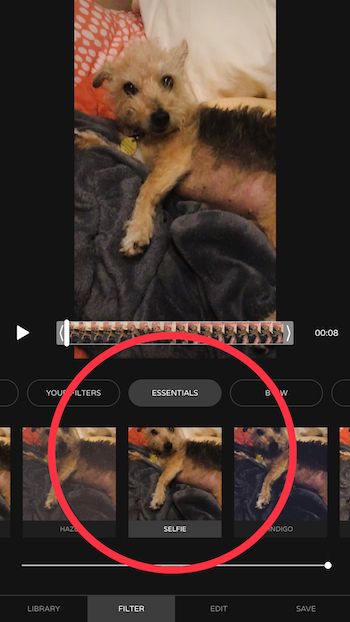 Once you’ve recorded a video or imported a video from your camera roll (swipe up on the recording screen), you can select from several filters by swiping left or right. 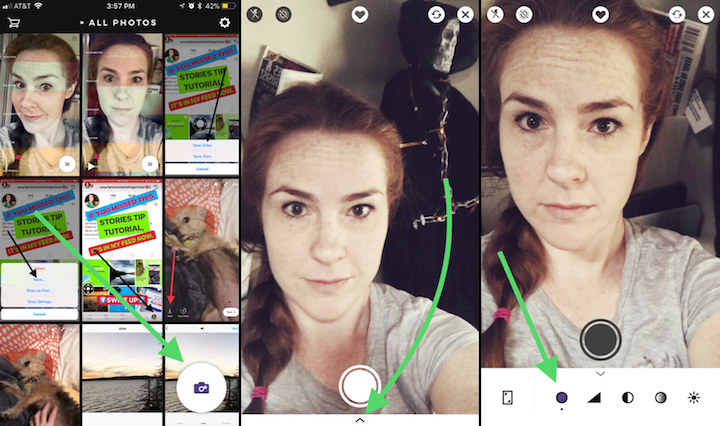 Once you stop on a filter you like, you can tap the Save button to save to your camera roll. You can tap the X in the top left of the screen to exit Instagram Stories without posting if you do not wish to. Go to that video in your Stories. Tap the three dots in the lower right-hand corner. 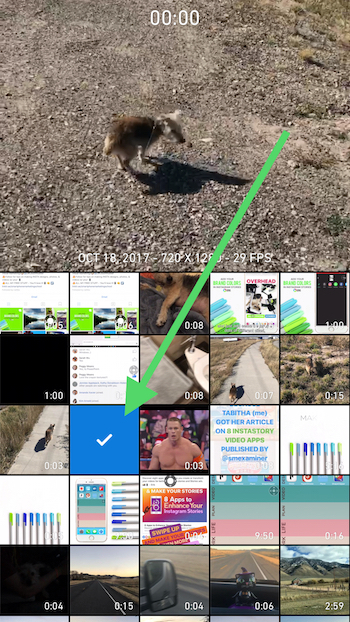 Tap Save Video (or Story if you want all of your clips joined together). Want to apply a filter WHILE you’re recording so you don’t have to worry about it afterwards? The infltr app is great at doing just that. 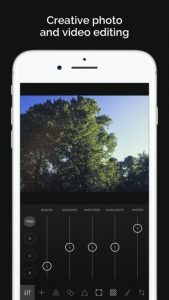 You can still apply filters to videos from your camera roll, but if you want to shoot and filter at the same time, give this app a try. Tap the circle icon in the lower right-hand corner. Tap the tiny up arrow at the bottom of the screen. Tap the circle icon. Now you will get access to a fun scrolling screen of filters. Have fun deciding which one to choose. And as you see in the screenshots above, you also have access to individual editing tools as well that you can apply before you start recording. So I hope you find something in this list of apps to enhance videos from your smartphone. If you’d like to refer to this post later, here’s an image to pin to your Pinterest account. 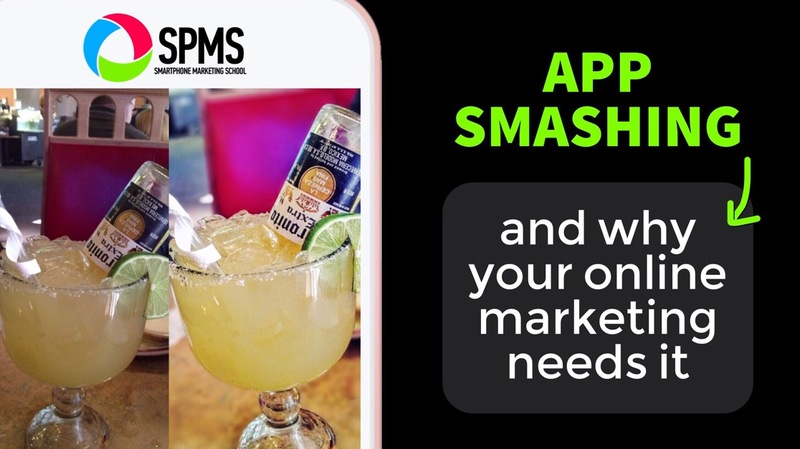 Copyright © 2016 SmartphoneMarketingSchool.com . All rights reserved.